For weekend lunch I made turai sambar, of course the peerkangai thol thogayal, vazhakkai varuval and the peel used for this poriyal, paruppu rasam. 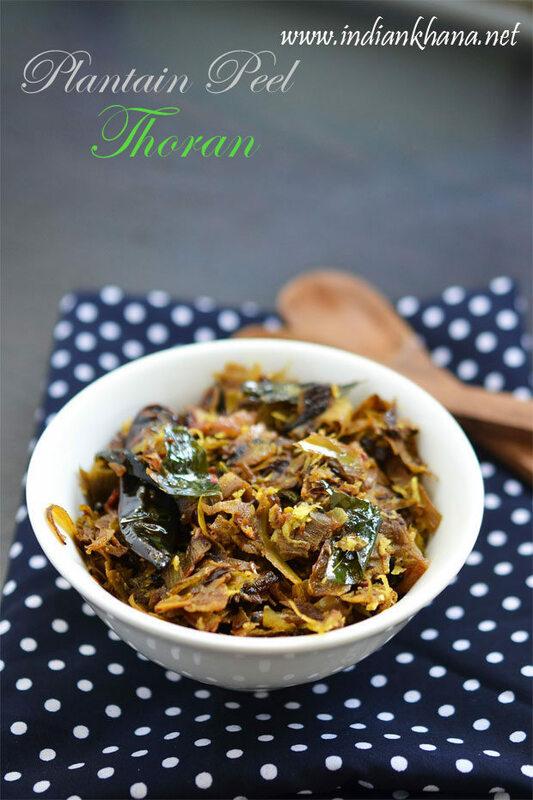 Now a days am doing full tamil or south indian lunch menus a lot for some unknown reason and it's very good thing :) So next time don't throw away the banana peel but instead try this delicious thoran/poriyal or stir fry. Easy stir fry with raw banana peel along with spices and coconut. Wash banana well and peel the skin, soak in water while peeling another, remove any dark black spots from peel if any, chop banana peel. Peel and chop onion, green chili. 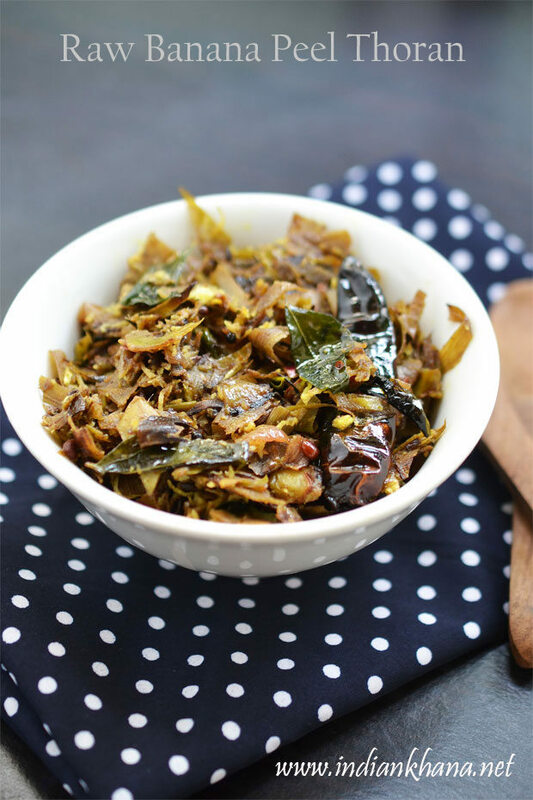 Heat oil in a pan or kadai add hing mustard seeds, cumin seeds, dry chili, urad dal, garlic, curry leaves, green chili, garlic and saute until garlic becomes golden brown , add onion and saute until onion becomes light brown and soft. Add banana peel, turmeric powder mix well and saute for 2 mins in medium flame. Add 1/4 cup water, salt, cover and cook until peel gets tender and cooked, add more water if required, stir in intervals. 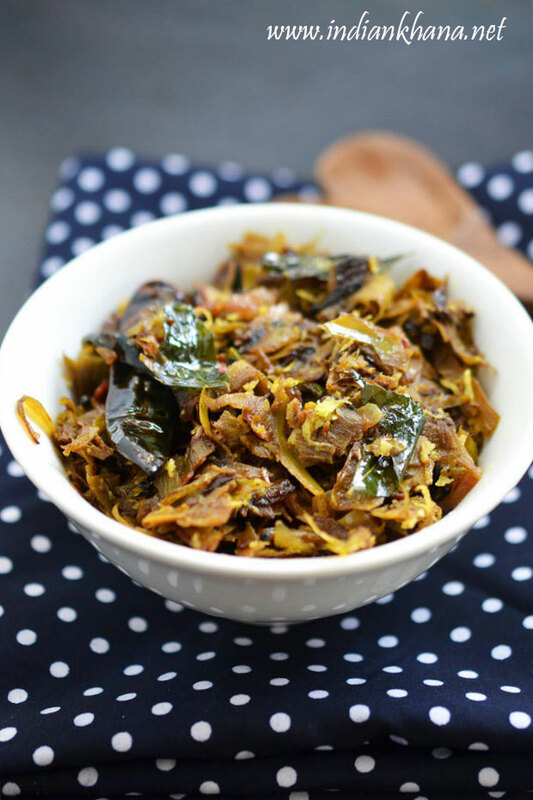 Cook for a min to remove any moist, add grated coconut mix well and cook for a min, off flame. 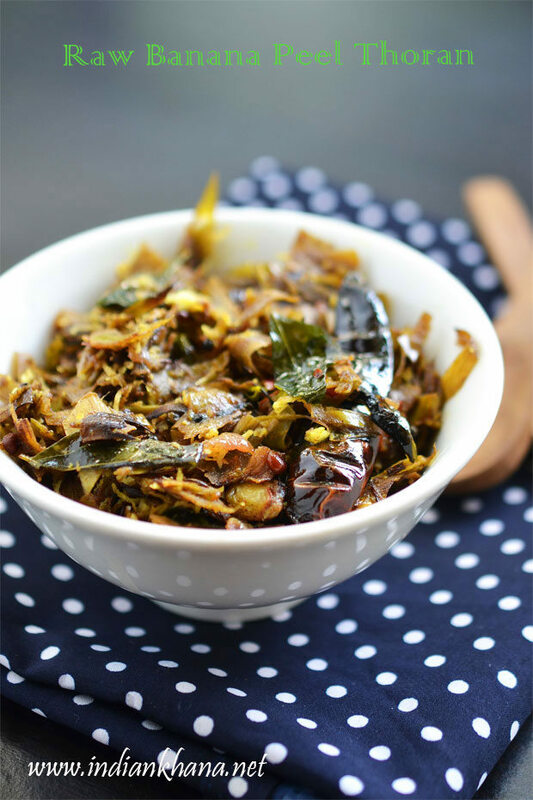 Serve hot with rice sambar/rasam or dal. You can skip garlic or also add 1/2 tsp grated ginger. Add more water if required for banana peel to get cooked. Soak the peels in water to avoid them from turning into black. 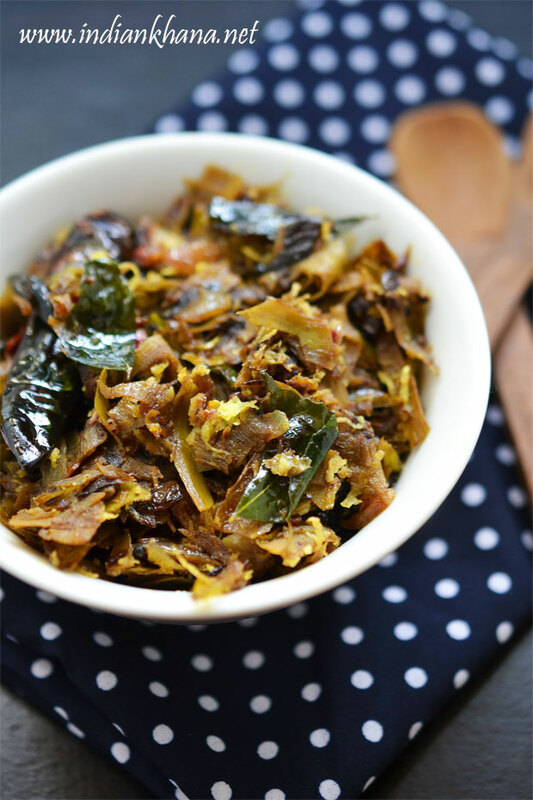 Simple, delicious plantain peel thoran or poriyal.